The past year in Northern Irish politics has seen a drive for greater recognition and promotion of the Irish language pushed up the political agenda. Demands for the introduction of an Irish Language Act only increased in the face of rather scornful rhetoric by the Democratic Unionist Party; and the revelation that a public funding scheme had been weighted heavily in favour of perceived unionist initiatives such as Orange Order halls, over perceived nationalist initiatives such as Gaelic Athletic Association clubs. This issue looks set to remain in the public consciousness, in light of the recent local elections returning the first non-unionist majority in the State’s history, and the UK’s withdrawal from the European Union potentially removing a European identity that arguably mitigated reliance on more parochial nationalist/unionist identities. Against this political background, a recent decision of the High Court of Justice in Northern Ireland – Re An Application by Conradh na Gaeilge – represented the first judicial consideration of the devolved executive’s legal duty to enhance and protect the development of the Irish language. This case is notable both for the Court’s willingness to examine the Executive’s duties agreed to in the St Andrews Agreement of 2006, and its use of declarative relief as a remedy for failure to fulfil those duties. This form of remedial action, it is argued, is to be welcomed in cases involving State intransigence around their duties to deal with culturally sensitive political issues in Northern Ireland. In issuing declarations without resorting to more invasive remedial options, the judiciary are adopting an incrementalist approach that is appropriate in overseeing the ongoing process of constitutional development in Northern Ireland (for the concept of incrementalism in adjudication, see Jeff King, Judging Social Rights (2012)). As such, the use of declarations in such instances should be encouraged. Section 28D(1) of the Northern Ireland Act 1998 (“the 1998 Act”), as inserted by the Northern Ireland (St Andrews Agreement) Act 2006, provides that “The Executive Committee shall adopt a strategy setting out how it proposes to enhance and protect the development of the Irish language”. In the case in question, Conradh na Gaeilge – a social organisation aimed at promoting the Irish language – sought a declaration that the Executive Committee had failed to comply with their section 28D(1) duty. It was common ground (i) that section 28D(1) placed a legal obligation on the Executive Committee; (ii) that no express time period by which a strategy must be implemented was specified in the Act; and (iii) that a proper reading of the provision implied that the obligation was to be performed “within a reasonable period of time” . A strategy drafted by the Department of Culture, Arts and Leisure (“DCAL”) had been placed before the Executive Committee in March 2016, after several failed attempts to have it put on the agenda. However, this strategy failed to achieve the concurrent majorities of Ministers designated as Unionist and Nationalist, and so was not adopted. Counsel on behalf of the Executive Office relied on this procedural historiography in arguing that the Executive had not neglected its duty under section 28D(1). Rather, it was argued, it was simply the case that no strategy had yet been able to command the support necessary to enable its adoption . Maguire J disagreed with this assessment, holding that the Executive Committee had failed to comply with its duty under section 28D(1) . While the Court did not elaborate on what might be considered a “reasonable period” for the implementation of a strategy, it was considered that ten years – the period since the enactment of the St Andrews Agreement – was well beyond the boundaries of reasonability. Further, the obligation is “an obligation of outcome not means” . That is, demonstrating that efforts had been made to achieve a certain outcome is insufficient to show compliance with section 28D(1). This judgment was declaratory in nature, and it remains to be seen if it will inspire any greater amenability towards the question of the Irish language on behalf of the unionist parties in the Executive. Nevertheless, the judgment is encouraging in its demonstration of the usefulness of declaratory relief in judicial review as a means of clarifying legal duties surrounding, and prompting further dialogue on, sensitive political issues in Northern Ireland. The declaration as an instrument in the judicial review toolkit allows the judiciary to clarify the often broadly defined legal duties of the devolved executive in dealing with sensitive, post-Troubles political issues, without overstepping their institutional position. The unique social and historical position of Northern Ireland is reflected in distinctive features in its constitutional design. Of particular interest here is the focus in the constitutional architecture on human rights and the broad positive duties placed on lawmakers to promote certain rights. The 1998 Act, for instance, sets up a Human Rights Commission which is required to report on the compatibility with human rights law of proposed legislation; requires that public authorities have due regard to the need to promote equality of opportunity as between certain lines of difference; requires that the Executive Committee develop a strategy for dealing with poverty and social exclusion; and, of course, requires the Executive Committee to develop a strategy for promoting the Irish language. These duties, it has been held, must be read in the light of the intention of the Belfast Agreement of 1998 to forge successful and durable cross-community relations (Robinson v Secretary of State for Northern Ireland). The devolved institutions in Northern Ireland, then, are under broad legal duties to deal with some of the sensitive political remnants of the Troubles. How the scope of these legal duties is to be determined is a tricky question. What is at stake, in essence, is a continuing process of constitution-building in a post-conflict society. It was decided at the outset of this process that certain safeguards should be put in place to ensure that cross-community support is required at each point of this process. A requirement for bargaining and compromise are built into the constitutional architecture and, whatever the limitations of this process, it would generally be inappropriate for judges to override it. That said, the historically fragile political situation should not be an excuse for intransigence, or for evading legal duties. The St Andrews Agreement is now ten years old, the Belfast Agreement almost twenty, and a great deal of the population has never known violent conflict. Bargaining and compromise can easily give way to obstinacy and deadlock. Given this delicate balance, declaratory relief is an appropriate tool in cases involving certain issues that can only be understood in the particular context of Northern Ireland’s political history, such as the State’s positive obligations to promote socio-economic or cultural rights. (For the use of declarations in the socio-economic context in Northern Ireland, see CAJ and Gormally’s Application, a case on which Maguire J relied in the Conradh na Gaeilge case.) An important distinction should also be drawn between cases in which the state has acted illegally, and cases in which the state has failed to carry out a legal duty. In the latter case, declaratory relief is particularly appropriate, as it places the onus on the State to remedy its oversight or inertia, and creates a symbolic focal point for public demands that the State does so. In essence, it allows judges to preserve the integrity of the constitutional process without stepping outside the boundaries of democratic legitimacy. If the devolved executive (when one is eventually reformed) continues to fail in its statutory duties despite this declaratory relief, then more invasive remedies may be called for at a later date. In some ways, the above may seem intuitive or obvious. After all, there is no concrete act or decision to be quashed, no conduct to restrain with an injunction, and it is neither likely nor desirable that the judges would issue mandatory orders in such an arena, so what remedy but a declaration remains? Nevertheless, the recognition of the normative value of declarations in these sorts of cases is important. Rather than declare that such sensitive political contexts are simply not within the legitimate remit of the judiciary at all, declarations allow the courts to carry out their function of highlighting potential Rule of Law concerns, without overstepping their legitimate mandate. Declarations, then, provide a rallying point around which to pressure the relevant governmental institutions to address these concerns. In this way the courts can play an important expositive role in these cases, and contribute in an institutionally proper way to the continuing process of building a society governed by the Rule of Law in Northern Ireland. 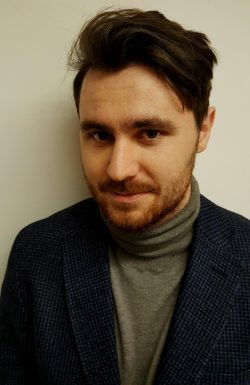 Conor Crummey is a PhD Candidate at University College London. Good point! So what is the next step? Conor Crummey’s final sentence is no doubt meant as a rallying cry to defenders of the rule of law. But in fact it betrays the weakness of his position.Plainly a judicial ruling can have “an important expositive role”, even though nothing more than a declaration is granted. All that Conradh na Gaeilge shows though, is that if legislation appears from time to time to ask the nearly impossible of those to whom it is directed, does asking a court to tell them they have failed advance matters? Yes, there’s always Samuel Beckett’s famous counsel: “Try again. Fail again. Fail better.” But the temptation to to run to a court to resolve political problems has increased, is increasing, and ought to be diminished, both in the interests of the rule of law and as a sign of maturity in a democracy. This entry was posted on May 10, 2017 by Constitutional Law Group in Northern Ireland and tagged declaratory relief, High Court of Justice in Northern Ireland, language policy, Northern Ireland (St Andrews Agreement) Act 2006, Northern Ireland Act 1998, Re An Application by Conradh na Gaeilge.